(Lease Disclaimer) Stock # J1452163. Leases are calculated for a term of 36 months / 10,000 miles and include any MCS lease cash available and any lease bonus cash available. Not all lessees will qualify for lowest payment through participating lender. Excludes $595 acquisition fee, $175 eTag filing cost, $250 pre delivery service charge, FL tax, tag, and title. Requires a 15% MSRP ($3,809.25) customer down payment. Based on residency in 32837 zip code. Residency restrictions may apply. Offer ends 4/30/19. See Sport Mazda for qualifications. (Finance Disclaimer) 2.9% APR ONLY FOR WELL QUALIFIED BUYERS WHEN FINANCED THROUGH PARTICIPATING LENDER; NOT ALL BUYERS WILL QUALIFY. AMOUNT OF DOWN PAYMENT AND OTHER FACTORS MAY AFFECT QUALIFICATION. 60 MONTHS AT $17.92 PER MONTH PER $1,000 FINANCED WITH $0 DOWN AT PARTICIPATING DEALER. Loan origination fees may apply. Must take new retail delivery from dealer stock by 4/30/2019. Based on residency in 32837 zip code. Residency restrictions may apply. See Sport Mazda for complete details. 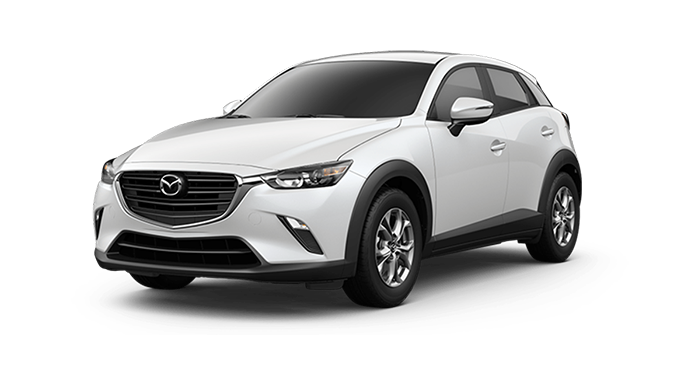 ($500 Customer Cash on Sport, Touring, and Grand Touring Trims) $500 Customer Cash good towards 2019 Mazda CX-5 Sport, Touring and Grand Touring Trims. Customer Cash cannot be combined with all offers, including special lease and special APR offers financed through Participating Lender. Offer valid to 4/30/2019. No cash value. Limit one discount per customer per vehicle. Must take new retail delivery from dealer stock by 4/30/2019. Based on residency in 32837 zip code. Residency restrictions may apply. See Sport Mazda for complete details. (Lease Disclaimer) MSRP $23,000 plus $895 destination charge. Payment based on capitalized cost of $20,741 after $595 Mazda Customer Lease Support. Total payments of $8,805. Dealer participation required. Not all lessees will qualify for lowest payment through participating lender. Some payments higher, some lower based on residency and other factors. Lessee responsible for excess wear and mileage over 36,000 at $0.15/mile. Purchase option at lease end for $11,948 plus tax or price negotiated at signing. Take new retail delivery from dealer stock by 4/30/2019. See Sport Mazda for qualifications. (Finance Disclaimer) 1.9% APR ONLY FOR WELL QUALIFIED BUYERS WHEN FINANCED THROUGH PARTICIPATING LENDER; NOT ALL BUYERS WILL QUALIFY. AMOUNT OF DOWN PAYMENT AND OTHER FACTORS MAY AFFECT QUALIFICATION. 60 MONTHS AT $17.48 PER MONTH PER $1,000 FINANCED WITH $0 DOWN AT PARTICIPATING DEALER. Loan origination fees may apply. Must take new retail delivery from dealer stock by 4/30/2019. Based on residency in 32837 zip code. Residency restrictions may apply. See Sport Mazda for complete details. 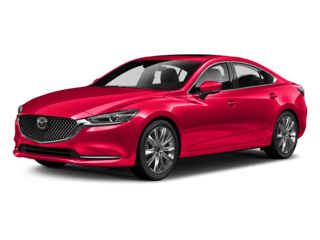 ($1,500 on Sport and Touring trims or $500 Customer Cash on Grand Touring (Reserve) and Signature trims) $1,500 Customer Cash good towards 2018 Mazda6 Sport and Touring Trims or $500 Customer Cash good towards 2018 Mazda6 Grand Touring, Grand Touring Reserve and Signature Trims. Customer Cash cannot be combined with all offers, including special lease and special APR offers financed through Participating Lender. Offer valid to 4/30/2019. No cash value. Limit one discount per customer per vehicle. Must take new retail delivery from dealer stock by 4/30/2019. Based on residency in 32837 zip code. Residency restrictions may apply. See Sport Mazda for complete details. (Lease Disclaimer) Leases are calculated for a term of 36 months / 10,000 miles and include any MCS lease cash available and any lease bonus cash available. Not all lessees will qualify for lowest payment through participating lender. Excludes $595 acquisition fee, $175 eTag filing cost, $250 pre delivery service charge, FL tax, tag, and title. Requires a 15% MSRP ($3,288) customer down payment. Based on residency in 32837 zip code. Residency restrictions may apply. Offer ends 4/30/19. See Sport Mazda for qualifications. (Finance Disclaimer) 3.49% APR ONLY FOR WELL QUALIFIED BUYERS WHEN FINANCED THROUGH PARTICIPATING LENDER; NOT ALL BUYERS WILL QUALIFY. AMOUNT OF DOWN PAYMENT AND OTHER FACTORS MAY AFFECT QUALIFICATION. 60 MONTHS AT $18.19 PER MONTH PER $1,000 FINANCED WITH $0 DOWN AT PARTICIPATING DEALER. Loan origination fees may apply. Must take new retail delivery from dealer stock by 4/30/2019. Based on residency in 32837 zip code. Residency restrictions may apply. See Sport Mazda for complete details. 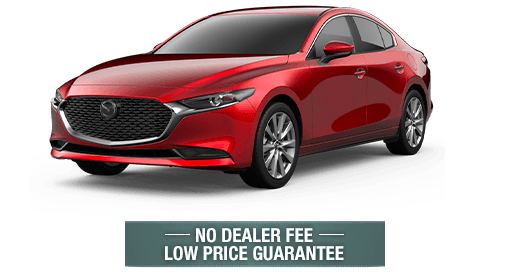 (2018 Mazda3 Dealer Discount Disclaimer) Applicable to the 2018 Mazda3 Sedan. 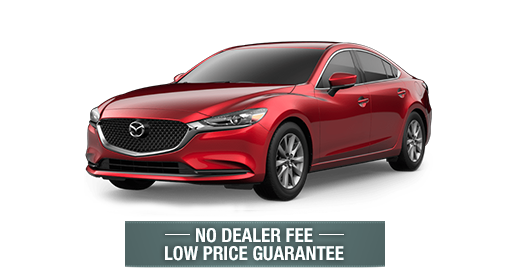 Buyers must qualify for all available Mazda factory offers and/or rebates. Not all buyers will qualify for the full $6,000 off. Excludes $595 acquisition fee, $175 eTag filing cost, $250 pre delivery service charge, FL tax, tag, and title. Based on residency in 32837 zip code. Residency restrictions may apply. Offer ends 4/30/19. See Sport Mazda for qualifications. See Sport Mazda for qualifications. (Lease Disclaimer) Leases are calculated for a term of 36 months / 10,000 miles and include any MCS lease cash available and any lease bonus cash available. Not all lessees will qualify for lowest payment through participating lender. Excludes $595 acquisition fee, $175 eTag filing cost, $250 pre delivery service charge, FL tax, tag, and title. Requires a 15% MSRP ($3,678) customer down payment. Based on residency in 32837 zip code. Residency restrictions may apply. Offer ends 4/30/19. See Sport Mazda for qualifications. (Finance Disclaimer) 3.49% APR ONLY FOR WELL QUALIFIED BUYERS WHEN FINANCED THROUGH PARTICIPATING LENDER; NOT ALL BUYERS WILL QUALIFY. AMOUNT OF DOWN PAYMENT AND OTHER FACTORS MAY AFFECT QUALIFICATION. 60 MONTHS AT $18.19 PER MONTH PER $1,000 FINANCED WITH $0 DOWN AT PARTICIPATING DEALER. Loan origination fees may apply. Must take new retail delivery from dealer stock by 4/30/2019. Based on residency in 32837 zip code. Residency restrictions may apply. See Sport Mazda for complete details. 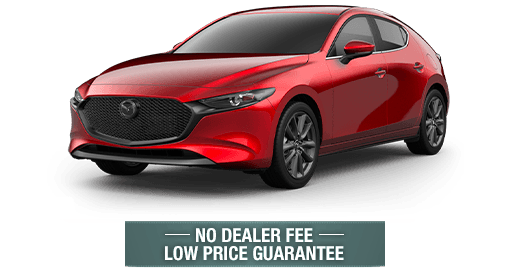 (2018 Mazda3 Dealer Discount Disclaimer) Applicable to the 2018 Mazda3 Hatchback. 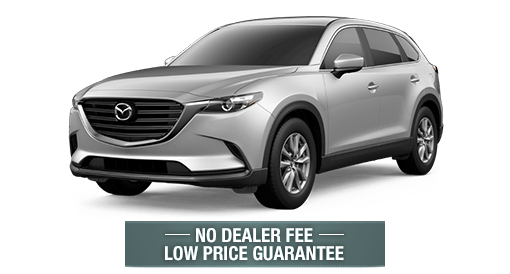 Buyers must qualify for all available Mazda factory offers and/or rebates. Not all buyers will qualify for the full $6,000 off. Excludes $595 acquisition fee, $175 eTag filing cost, $250 pre delivery service charge, FL tax, tag, and title. Based on residency in 32837 zip code. Residency restrictions may apply. Offer ends 4/30/19. See Sport Mazda for qualifications. See Sport Mazda for qualifications. (Lease Disclaimer) Leases are calculated for a term of 36 months / 10,000 miles and include any MCS lease cash available and any lease bonus cash available. Not all lessees will qualify for lowest payment through participating lender. Excludes $595 acquisition fee, $175 eTag filing cost, $250 pre delivery service charge, FL tax, tag, and title. Requires a 15% MSRP ($3,215.25) customer down payment. Based on residency in 32837 zip code. Residency restrictions may apply. Offer ends 4/30/19. See Sport Mazda for qualifications. (Finance Disclaimer) 0.9% APR ONLY FOR WELL QUALIFIED BUYERS WHEN FINANCED THROUGH PARTICIPATING LENDER; NOT ALL BUYERS WILL QUALIFY. AMOUNT OF DOWN PAYMENT AND OTHER FACTORS MAY AFFECT QUALIFICATION. 60 MONTHS AT $17.05 PER MONTH PER $1,000 FINANCED WITH $0 DOWN AT PARTICIPATING DEALER. Loan origination fees may apply. Must take new retail delivery from dealer stock by 4/30/2019. Based on residency in 32837 zip code. Residency restrictions may apply. See Sport Mazda for complete details. 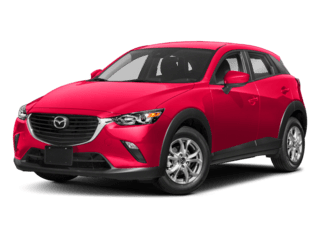 ($250 Customer Cash) $250 Customer Cash good towards 2019 Mazda CX-3. Customer Cash cannot be combined with all offers, including special lease and special APR offers financed through Participating Lender. Offer valid to 4/30/2019. No cash value. Limit one discount per customer per vehicle. Must take new retail delivery from dealer stock by 4/30/2019. Residency restrictions may apply. See Sport Mazda for complete details. (Lease Disclaimer) Leases are calculated for a term of 36 months / 10,000 miles and include any MCS lease cash available and any lease bonus cash available. Not all lessees will qualify for lowest payment through participating lender. Excludes $595 acquisition fee, $175 eTag filing cost, $250 pre delivery service charge, FL tax, tag, and title. Requires a 10% MSRP ($3,332.50) customer down payment. Based on residency in 32837 zip code. Residency restrictions may apply. Offer ends 4/30/19. See Sport Mazda for qualifications. (Finance Disclaimer) 1.9% APR ONLY FOR WELL QUALIFIED BUYERS WHEN FINANCED THROUGH PARTICIPATING LENDER; NOT ALL BUYERS WILL QUALIFY. AMOUNT OF DOWN PAYMENT AND OTHER FACTORS MAY AFFECT QUALIFICATION. 60 MONTHS AT $17.48 PER MONTH PER $1,000 FINANCED WITH $0 DOWN AT PARTICIPATING DEALER. Loan origination fees may apply. Must take new retail delivery from dealer stock by 4/30/2019. Based on residency in 32837 zip code. Residency restrictions may apply. See Sport Mazda for complete details. 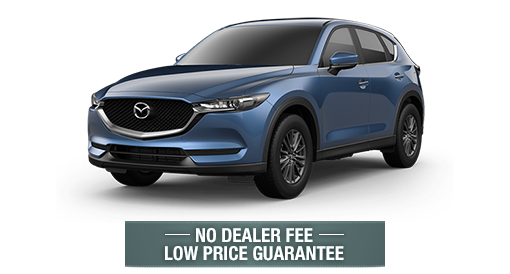 ($500 Customer Cash) $1,000 Customer Cash good towards 2019 Mazda CX-9. Customer Cash cannot be combined with all offers, including special lease and special APR offers financed through Participating Lender. Offer valid to 4/30/2019. No cash value. Limit one discount per customer per vehicle. Must take new retail delivery from dealer stock by 4/30/2019. Based on residency in 32837 zip code. Residency restrictions may apply. See Sport Mazda for complete details.